If you’ve been looking all over the South Sound for a church to get married in, you’ve found it! Welcome to Events on 6th! 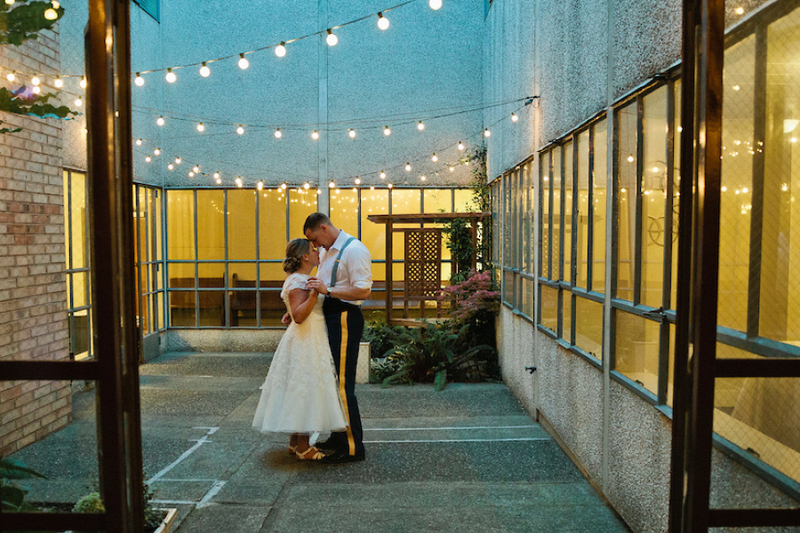 This beautiful Tacoma wedding and reception venue is the perfect location for your entire wedding day. Get married in the stunning church, celebrate in the mid-century modern reception hall, and know all your photos and memories will have this beautiful venue as the backdrop. It’s such a great mix of modern and traditional! Your wedding venue is so important for a wonderful wedding day! You want it to be a special, unforgettable, beautiful...a place that makes you happy and your guests comfortable. Events on 6th has everything you want and need, all in one venue. Click to schedule a tour or just get more information! It can be tough to sort through all the venues to decide which ones to tour. The photos all look amazing, but you don’t want to drive all over and waste a bunch of time. Invest a few minutes now to watch the video of Events on 6th to see if it’s the perfect fit for you, or at least tour-worthy! Events on 6th was the absolute perfect venue for us! The layout of the facility with the beautiful chapel, lovely fireplace room, charming outside courtyard, welcoming reception hall and comfortable bridal party/family rooms was able to handle the flow of the 160 people who attended. We had the bar in the lounge and other drinks in the courtyard with cocktail tables throughout. Both spaces were wonderful additional places where our guests could mingle. We loved the hanging white lights in the reception hall and with a rented chandelier it made it so romantic as we danced the night away. Lesley was very helpful, accommodating, organized and supportive with our plans for the day. We could make the place our own and it came to life with our ideas and aesthetics. The two 1-hour planning sessions before the big day made it super helpful to coordinate. Fridays and Saturdays are available for weddings and other events, including rentals of only the chapel or only the reception hall. Learn more about what a wedding day at Events on 6th is like and how much it will cost on the Wedding Packages page. Fridays and Saturdays are available! Learn more about wedding packages at Events on 6th. Events on 6th is centrally located in Tacoma, in between Seattle and Olympia, and close to lovely outdoor photo opportunities at Wright Park, Point Defiance Park, and the Ruston Way waterfront. Enjoy the security of an indoor wedding while still capturing those beautiful outdoor photos! Celebrate your big day in elegance and style, and find contentment knowing your guests can relax and enjoy themselves for the whole day in one gorgeous venue. 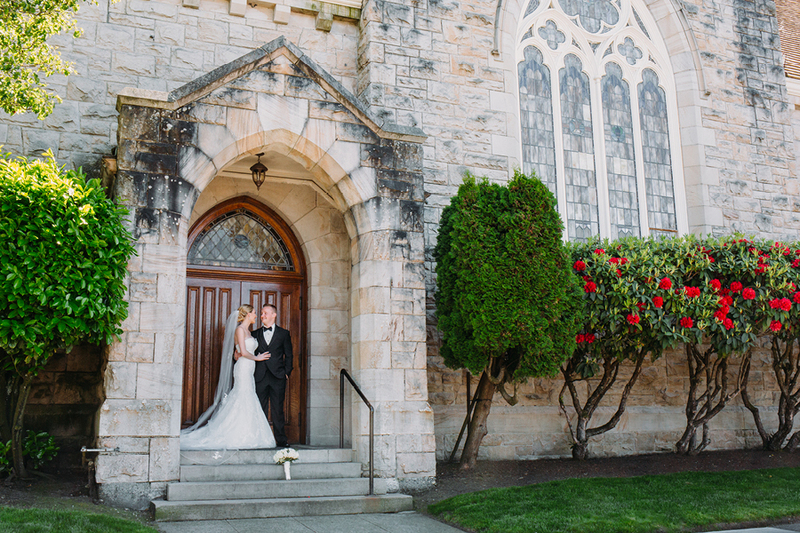 Schedule a personal tour of Tacoma’s most beautiful wedding and reception venue and visualize your wedding dreams come true at Events on 6th.